Product prices and availability are accurate as of 2019-04-05 15:43:10 EDT and are subject to change. Any price and availability information displayed on http://www.amazon.com/ at the time of purchase will apply to the purchase of this product. 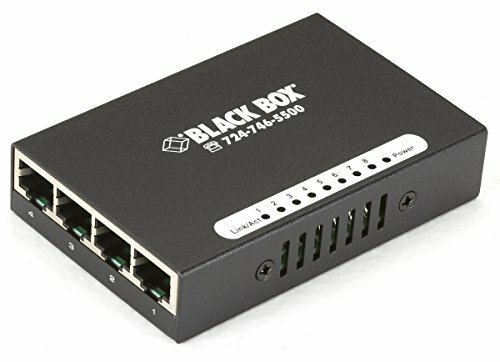 The compact USB-Powered 10100 Switch is an easy way to quickly add eight 10-100-Mbps Ethernet ports to your network. Because it's USB powered, you can plug it into the nearest PC-an advantage anywhere power outlets are tight. The switch offers autosensing 10-100-Mbps ports that autonegotiate half-full-duplex. All ports feature Auto MDIMDI-X, so there's no need for cross-pinned cables-just plug it in and you're ready to go. There's no easier way to set up a quick workgroup. Plus, the switch is tiny enough to tuck neatly behind a PC. Manufacturer: Black Box Corporation. Manufacturer Part Number: LBS008A. Brand Name: Black Box. Product Model: LBS008A. 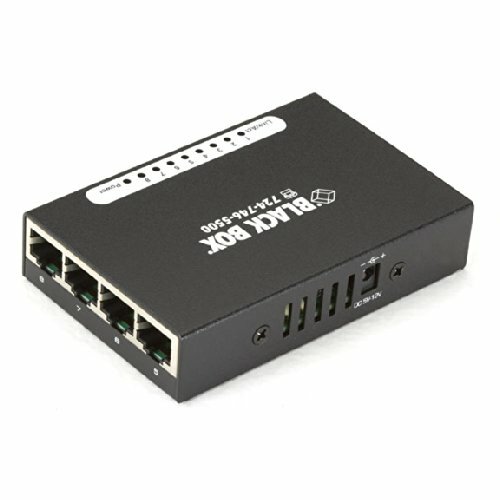 Product Name: USB-Powered 10100 8-Port Switch. Product Type: Ethernet Switch. [InterfacesPorts] Total Number of Network Ports: 8. Token Ring Port: No. LRE Port: No. Uplink Port: No. Bypass: No. Modular: No. Management Port: No. Stack Port: No. Number of Network (RJ-45) Ports: 8. PortExpansion Slot Details: 8 x Fast Ethernet Network. [Media Performance] Media Type Supported: Twisted Pair. Ethernet Technology: Fast Ethernet. Network Technology: 10100Base-TX. [Network Communication] Layer Supported: 2. [Management Protocols] Manageable: No. 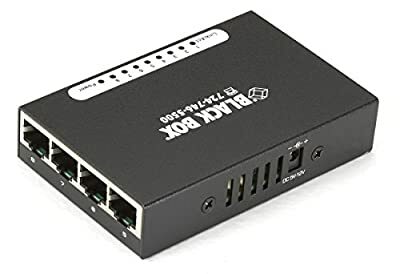 [Power Description] PoE (RJ-45) Port: No. Input Voltage: 120 V AC. Power Source: Power Supply. USB. [Physical Characteristics] Form Factor: Desktop. Height: 0.8". Width: 2.4". Depth: 3.1". [Miscellaneous] Package Contents: USB-Powered 10100 8-Port Switch Power Cable Power Supply . Certifications Standards: TAA CE IEEE Standards: 802.3 802.3u 802.3x . Green Compliant: Yes. Green Compliance CertificateAuthority: RoHS. WEEE. [Warranty] Limited Warranty: 1 Year.